Ridley’s new Fenix SL Disc blends the lightweight and performance of their SL line into a disc brake-equipped carbon version with more compliance from the rear end. Ridley has a lot going on for 2017 including several new bikes, updates to existing models, and a new program designed to expand the popularity and accessibility of cycling for women. 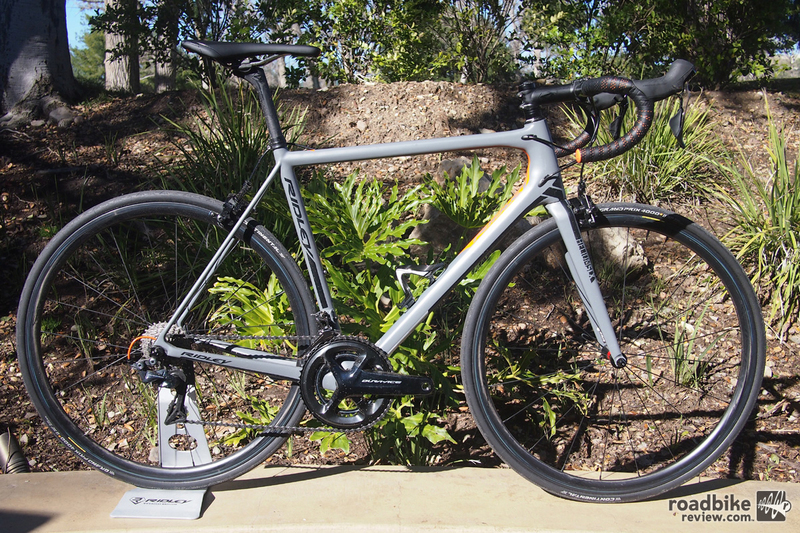 The Fenix is from Ridley’s Endurance line of performance road bikes and they have upped the ante this year, introducing a new SL carbon version with disc brakes. The front triangle is the same as the previous model, but the rear triangle is new. 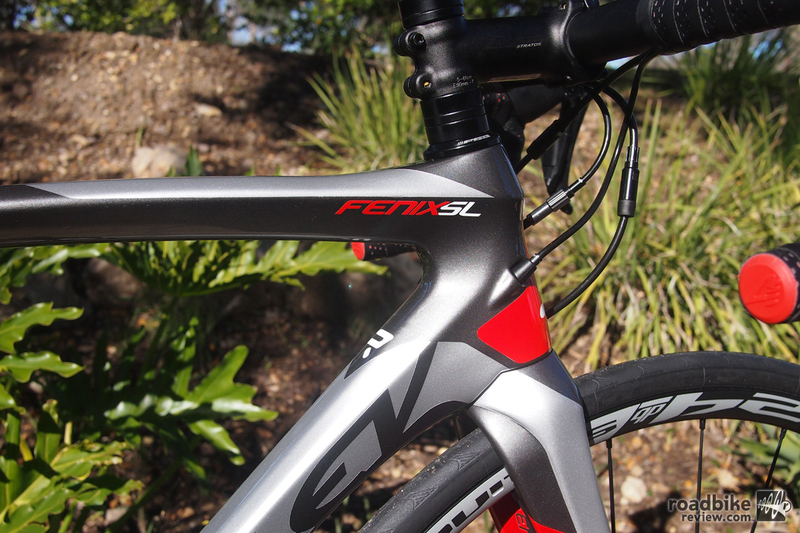 The Fenix SL Disc features lowered seatstays for a more compliant ride. In addition, this bike has thru-axles front and rear with 142×12 spacing in back. This provides a stiffer platform for the additional torque a disc brake exerts on a frame. The rear caliper has a flat mount attachment. 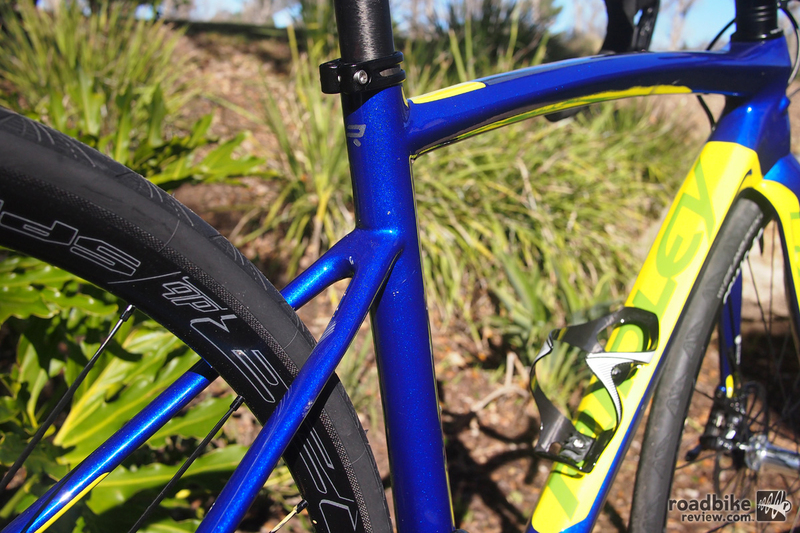 The seatstays of the Fenix SL Disc have been lowered and drawn thin to provide extra compliance. Up front, the Fenix SL Disc has an asymmetric fork, the left blade is larger than the right for internally routed cables to provide a clean look. Like the rear, the front caliper is also flat mounted. The addition of the disc brakes takes an already versatile platform and expands the performance factor. 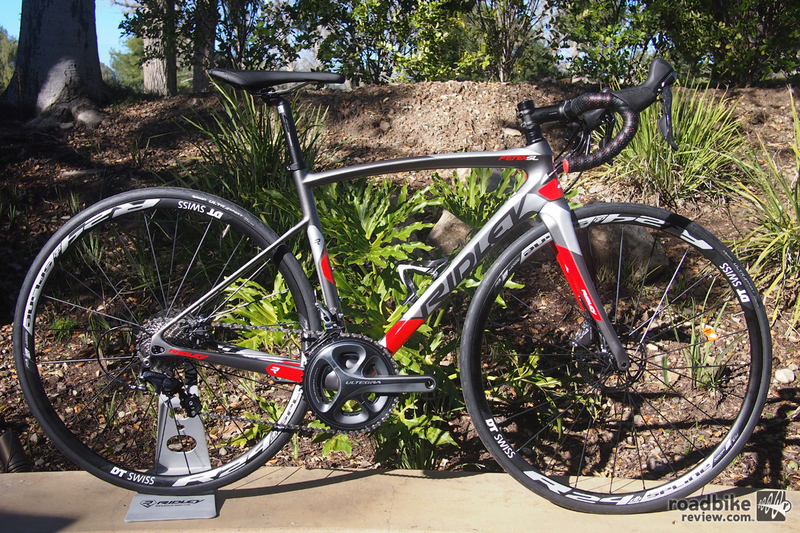 As shown here with Shimano Ultegra, DT Swiss R24 Spline DB wheels, the Ridley Fenix SL Disc sells for $3800. The Liz highlights Ridley’s new women specific models. The Liz SL Disc is the women’s version of the Fenix SL Disc. 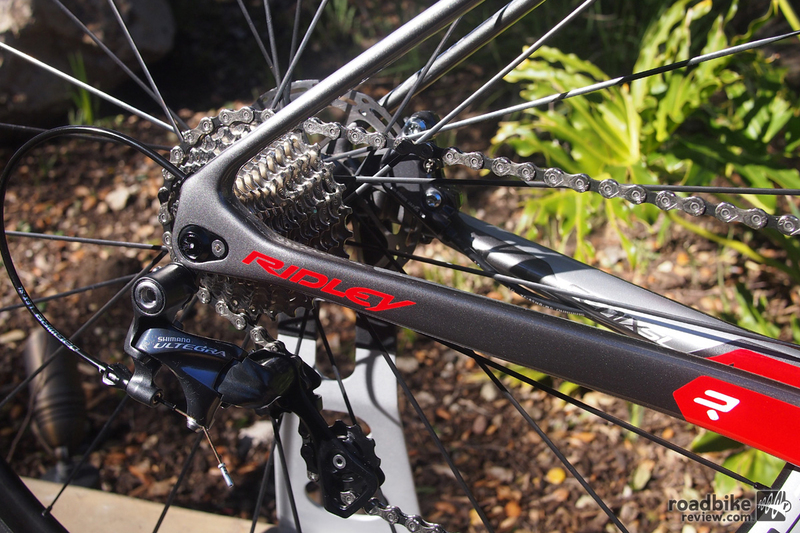 This year, Ridley is producing women’s specific models of their most popular performance bikes. The frame of the Liz is the same as the Fenix, but the stock bars are narrower, the seatpost has zero offset, and the drivetrain has compact gearing (as opposed to mid compact). Ridley’s internal research showed that women wanted the same performance as the men without sacrificing things like frame stiffness. This is especially true for Ridley’s sponsored pro riders such as Isabelle Beckers of the Lotto-Soudal team who was on hand at the recent Bike PressCamp event to help promote the new line. The Liz is available in several different versions, including the SL Disc. There is an aluminum version that starts at $1320. Ridley is excited about their new women’s-specific line and they expect it to be a “core seller” for them. In their other road lines, the aero road line’s Noah is available as a women’s model called the Jane and the lightweight Helium is available as the women’s Aura. Ridley will have future women’s specific versions of their other bikes (including cyclocross) coming soon. 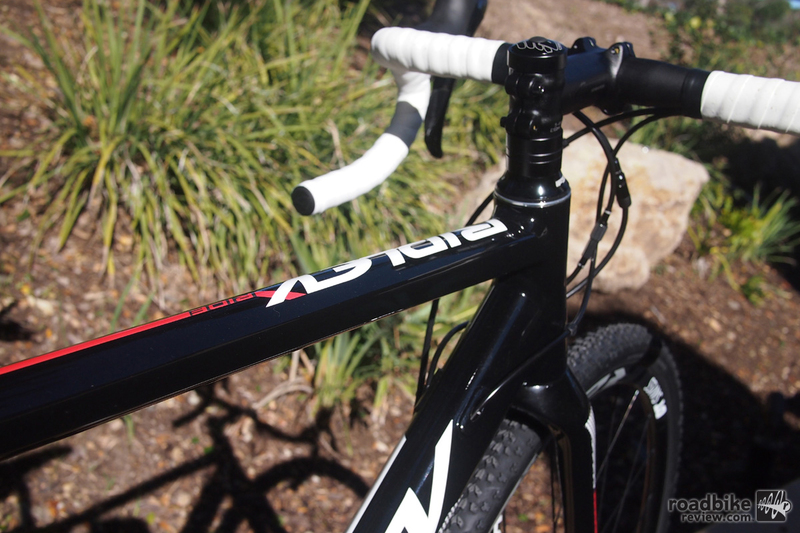 The Ridley X-Ride is an alloy frame cyclocross bike that has the same geometry as the carbon version. 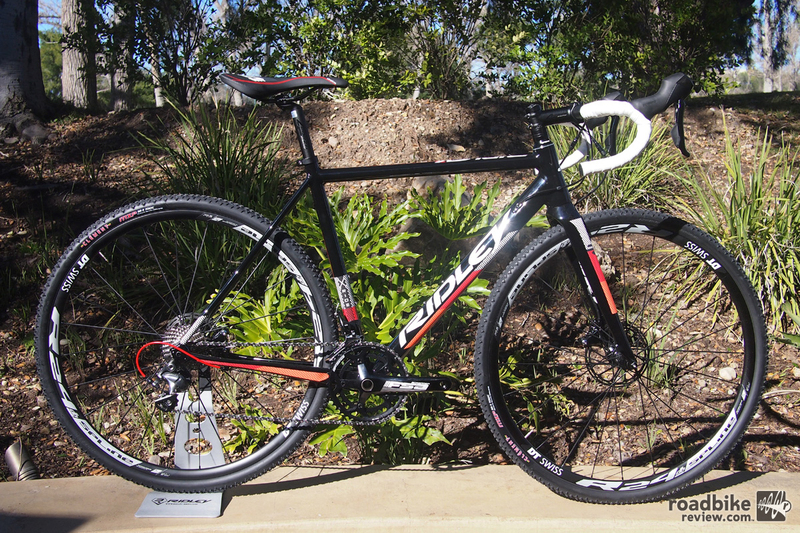 Ridley has redesigned its alloy X-Ride cyclocross cross bike. It now has the same geometry as their carbon pro level ’cross bikes, meaning a shorter headtube and steeper angles. 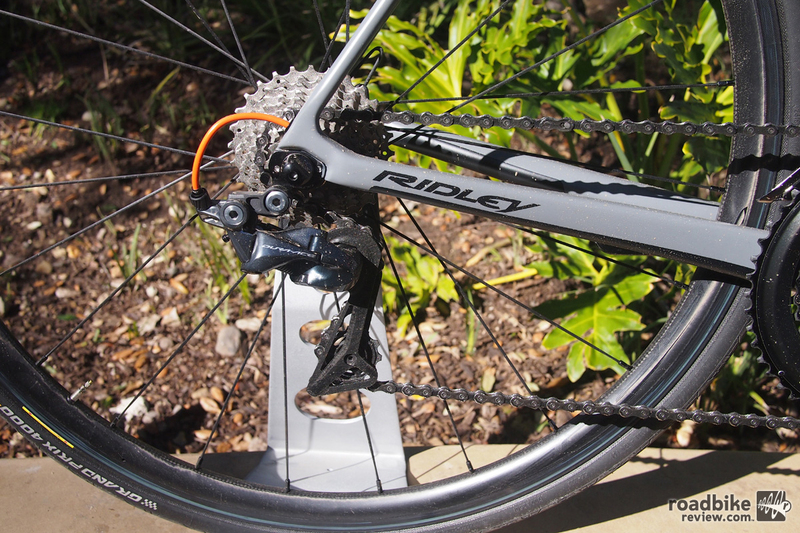 Ridley also pulled 70-100 grams out of the frame by using lighter weight tubing that the previous model. It is the same lightweight tubing used in their road bike models. 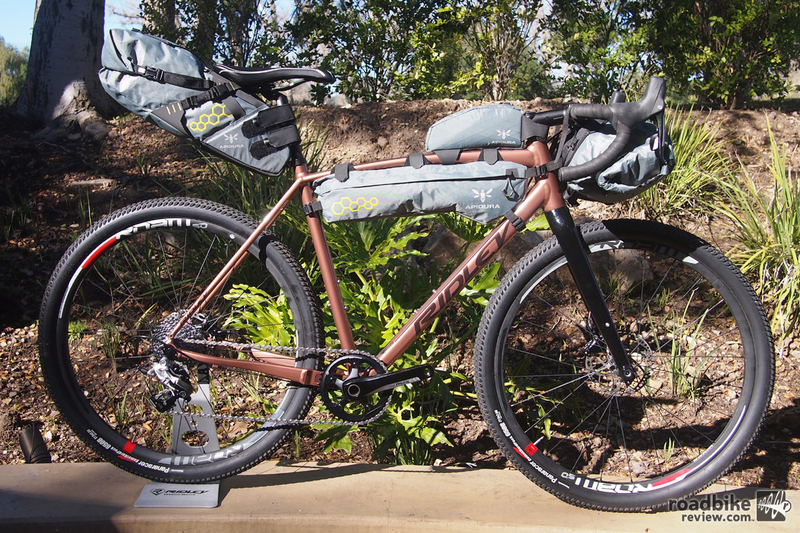 The frame is 6061 aluminum and features disc brakes, 12mm thru-axles front and rear, and internal cable routing. 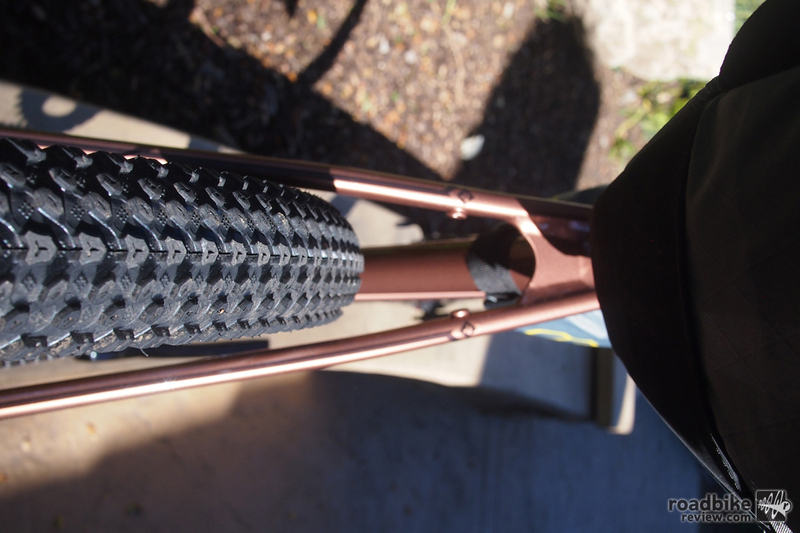 The X-Ride alloy is targeted at the cyclocross racer on a budget. “The X-Ride is a great opportunity for somebody that wants to really get into racing cross but doesn’t have $6,000 to buy two bikes,” explained Ridley VP of International Operations, Richard Wittenberg. As shown here, the X-Ride with Shimano Ultegra, FSA cranks, Shimano hydraulic disc brakes, and DT Swiss R24 wheels sells for $2310. 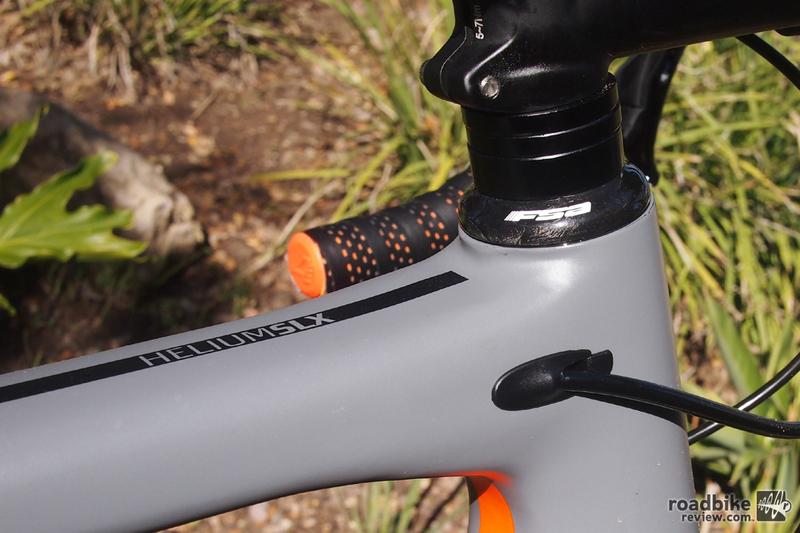 The Helium is Ridley’s lightweight performance line and both the SL-X and the X versions get updates. Not new, but freshened up for this year is the Helium SL-X and the Helium X, which is the more affordable version from Ridley’s lightweight line of performance road bikes. The Helium SL-X and X get revised cable routing, so the rear brake cable now goes through the top tube as opposed to the previous version which was alongside the top tube. The fork has been completely redesigned and 10-15 grams have been taken out of the entire bike so this carbon bike comes in right around 14 pounds. For the adventure rider/tourer, the X-Trail Adventure features plenty of options for all your bike-packing needs. Originally launched in a carbon version 18 months ago, the X-Trail Adventure is now available in a more affordable alloy version. Ridley changed the rear yoke to increase tire clearance so you can actually fit your choice of either 650B tire with a max width of 55mm or a 700x42c road tire. The X-Trail Adventure is a versatile platform with plenty of rack and fender mounting options. This disc brake-equipped version has 12mm thru-axles with 142×12 spacing in the rear. Find out more about La Ridley here. And get more info on the new bikes at www.ridley-bikes.com. Ridley’s all new Fenix SL Disc blends the lightweight and performance of their SL line into a disc brake-equipped carbon version with more compliance from the rear end. 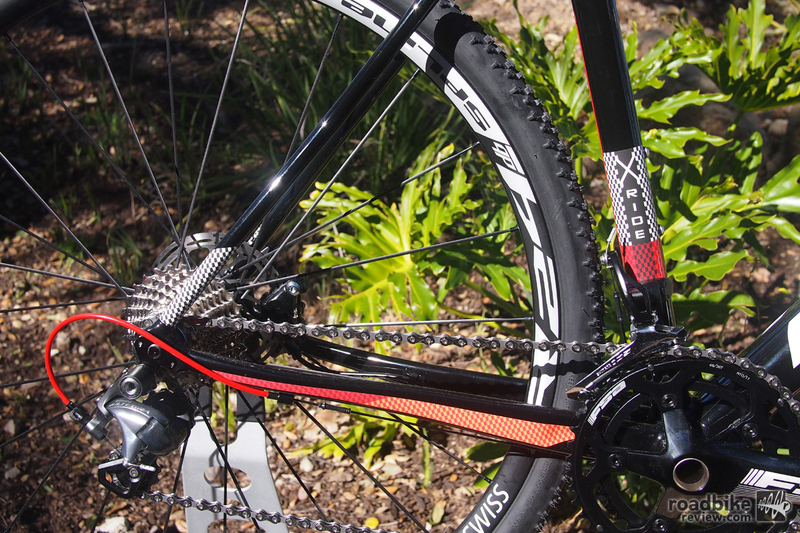 The Fenix SL Disc has a carbon frame and features internal cable routing to keep things tidy. 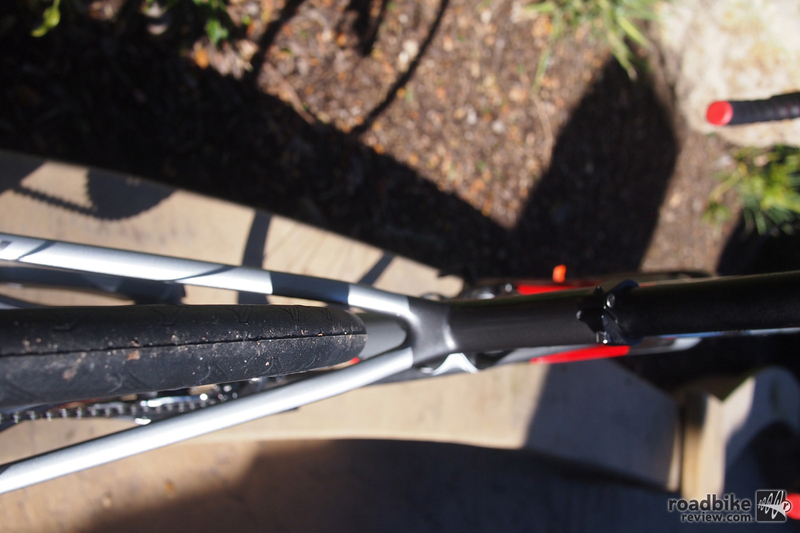 A view of the rear tire clearance of the Ridley Fenix SL Disc. The Fenix SL Disc features 142×12 rear spacing and thru-axles. 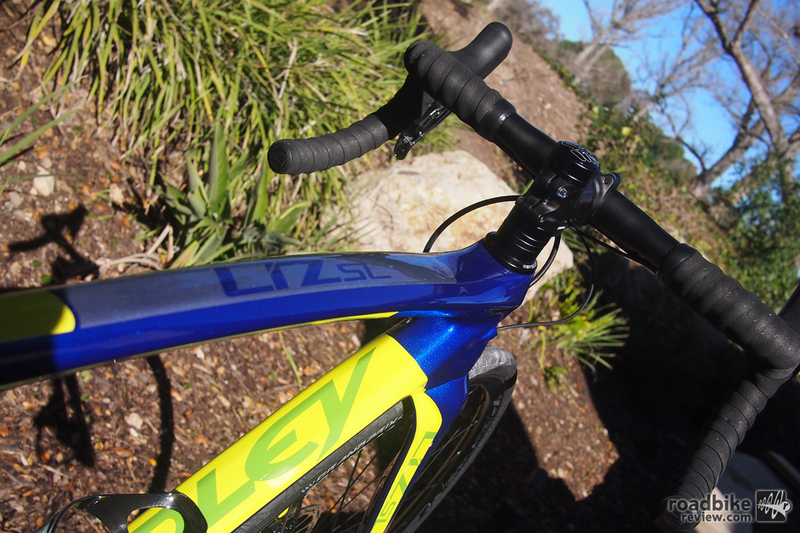 The Liz highlights a new aspect of Ridley Bikes, women-specific models. The Liz SL Disc is the female version of the Fenix SL Disc. The Liz is available in several different versions, not just the SL Disc. There is an aluminum version that starts at $1,320. 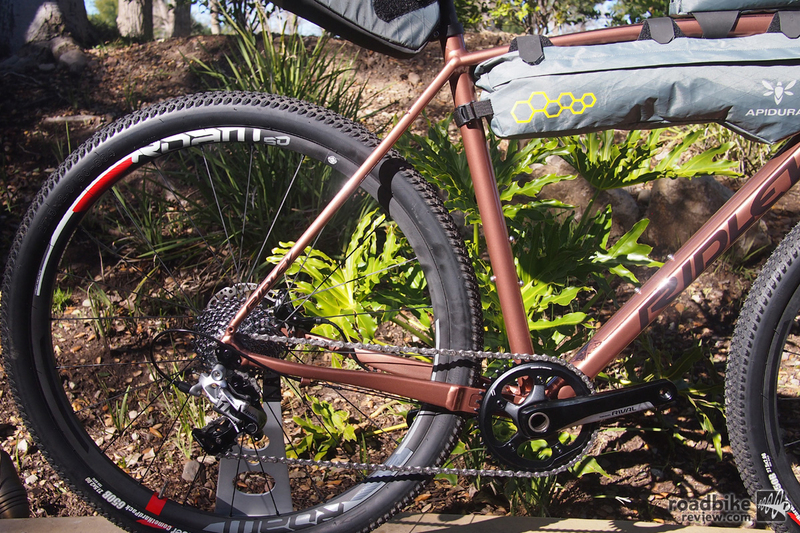 The short head tube keeps things nice and compact. The paint features a nice, metallic finish. 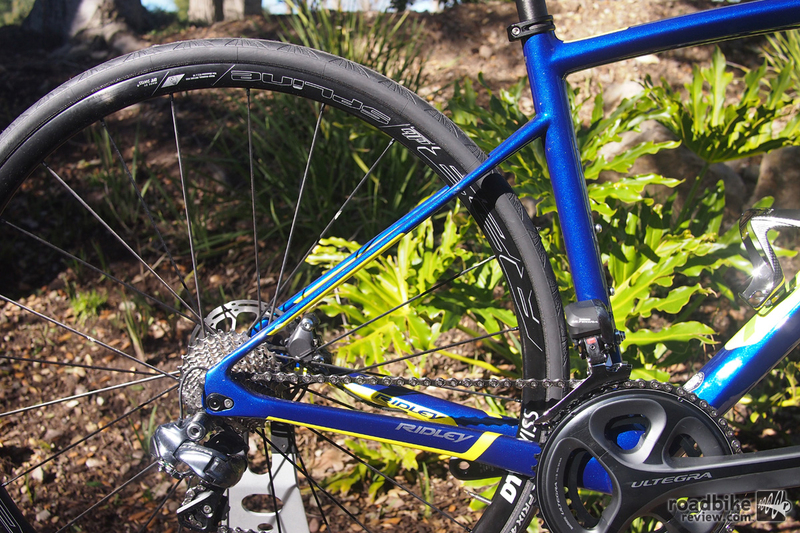 Like the Fenix SL Disc, the Liz SL Disc has lowered, thin seat stays. 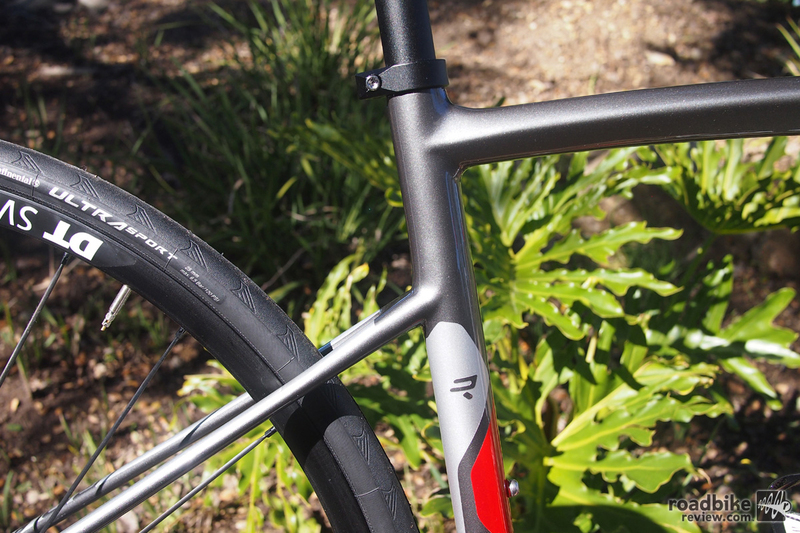 The Ridley X-Ride provides an alloy frame cross bike that has the same geometry as the carbon version. The high gloss finish give the X-Ride some visual “pop”. A shot of the rear of the X-Ride including the rear Ultegra derailleur and rear disc brake. 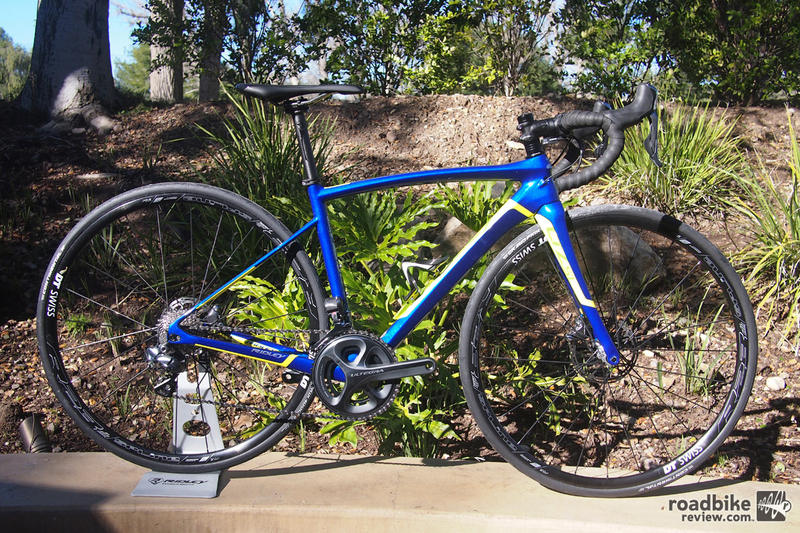 The Helium is Ridley’s lightweight performance line and both the SL-X and the X versions get new updates. 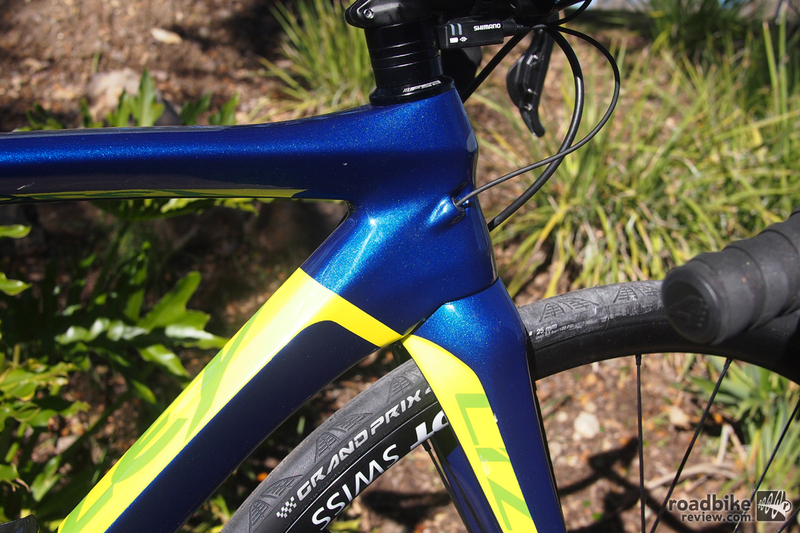 A close-up shot of the carbon frame of the SL-X and the internal cable routing. The rear of this Helium SL-X shows a bit of “demo dust”. For the adventure rider/tourer, the X-Trail Adventure features plenty of options for all your bike-packing essentials. 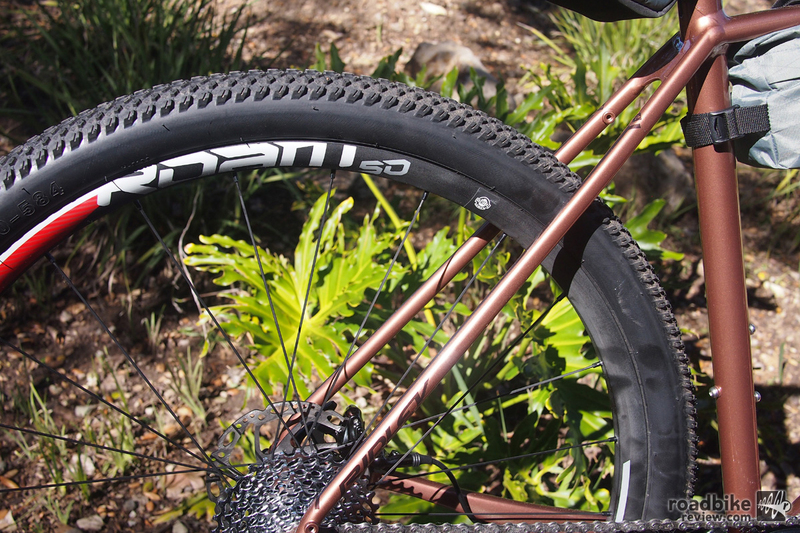 SRAM Roam 50 wheels provide the option to run mountain bike tires. A shot of the rear of the X-Trail Adventure with the asymmetric chain stay. 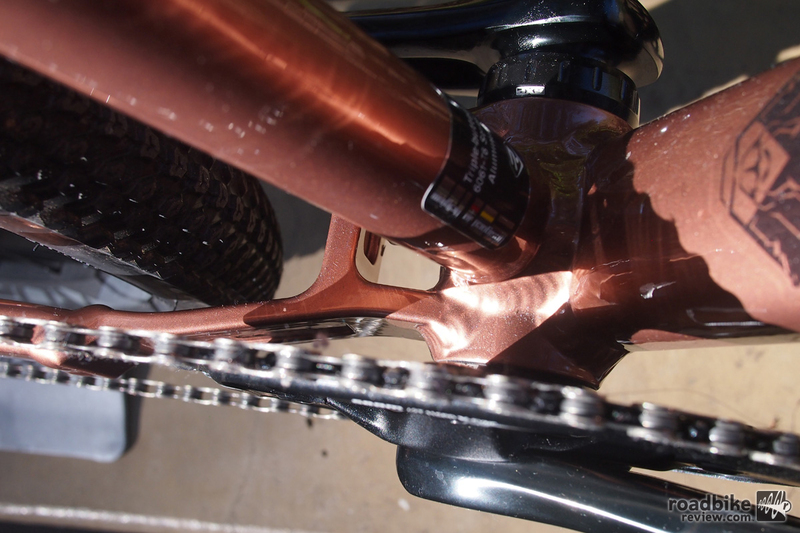 An overhead view of the drive-side chainstay with the shaping required to fit the wider tires. You can fit either a 650×55 mountain bike tire or a 700x42c road tire. X-Trail Adventure looks neat, but would probably be better off with a triple up front. Not sure why the love affair with singles, esp when you’re going up 20% grades or more when you’re off road.